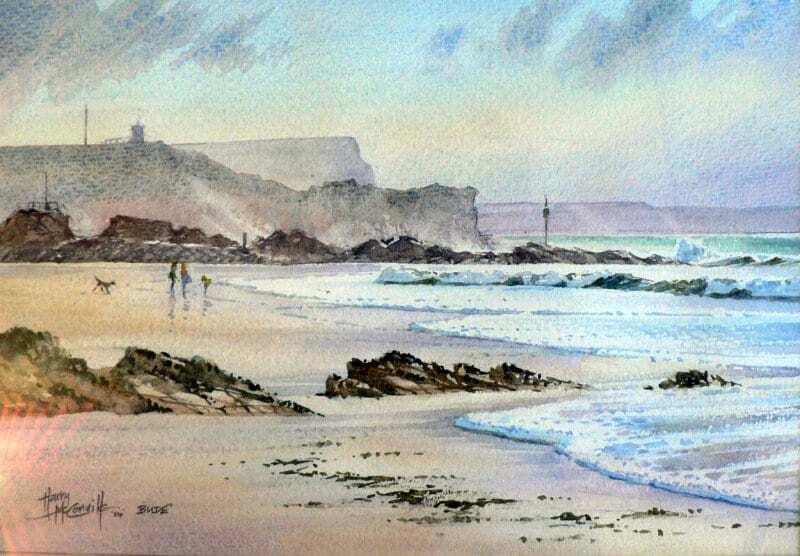 The Gallery is where Harry McConville paints watercolour seascapes and landscapes of Bude and North Cornwall. 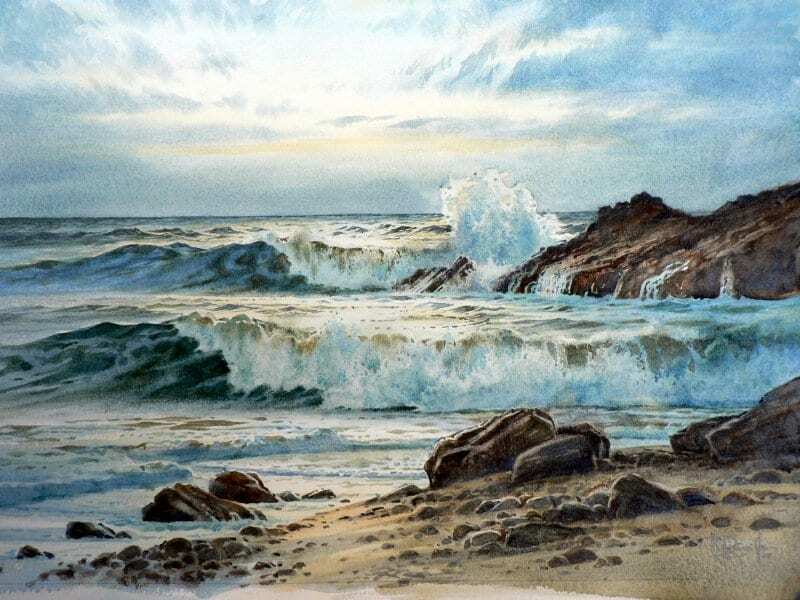 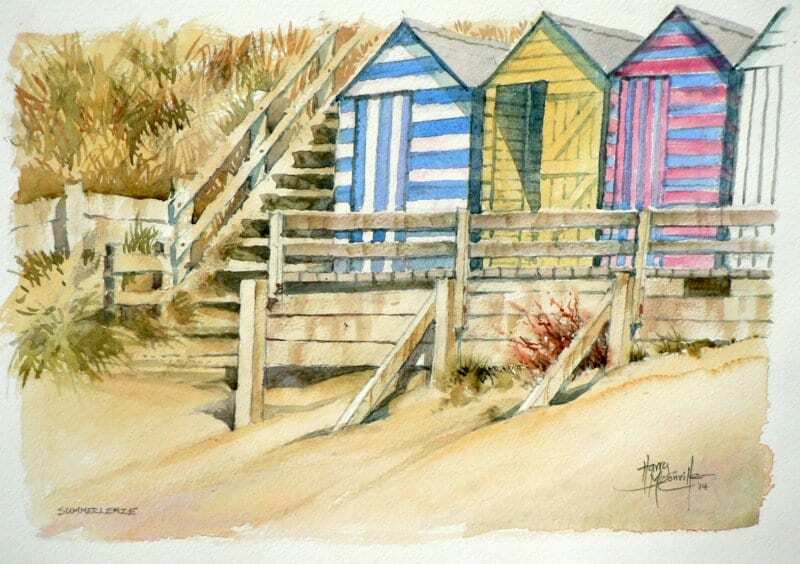 His watercolour paintings of the Cornish coast and Atlantic surf are his speciality. 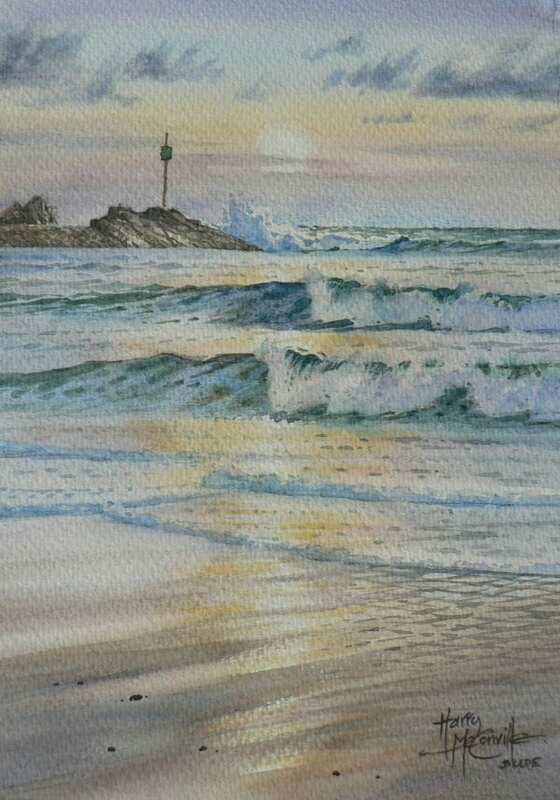 Harry and Barbara established their studio-art-gallery in Bude in 1990 where framed prints and greetings cards of his work are also available. 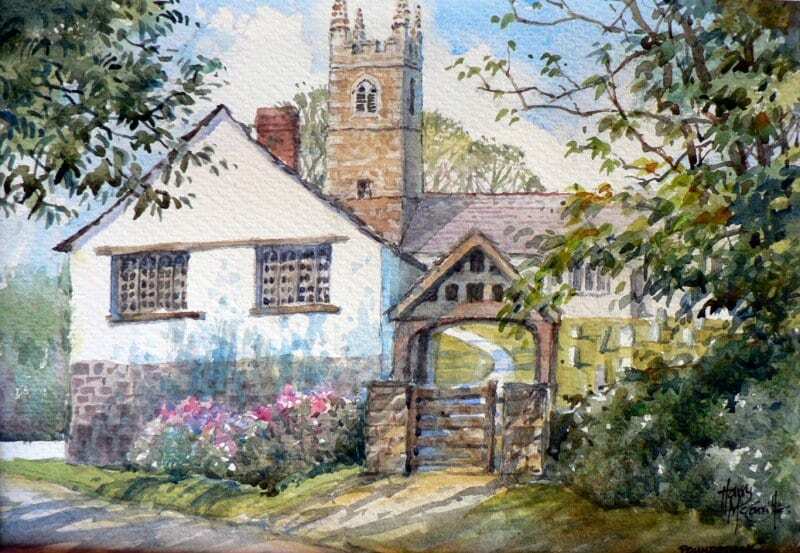 Commissions are regularly painted for special occasions (please ask) and Harry now runs a watercolour workshop at the Falcon Hotel every Wednesday afternoon.